Hard to treat the Greens’ belated decision to stand a candidate in Ohariu as being anything other than a desperation move, by a party whose own leadership is evidently concerned about its chances of survival. Green candidates are not expected to win electoral races; they’re there solely as a presence to carry the Green message and harvest the party vote. A few months ago, the Greens felt able to forego that role in Ohariu in order to help a beleaguered Labour Party get its candidate Greg O’Connor across the line, and knock Peter Dunne out of the parliamentary frame. Clearly, a resurgent Labour Party doesn’t need that helping hand any more. And Dunne has now gone, by his own hand. 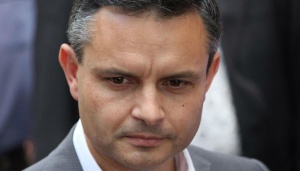 Evidently, Greens leader James Shaw has decided the party can no longer afford to forego the few hundred party votes that a local candidate (Tane Woodley) and a “two ticks” message might make possible. The downside of this tactical change is that it readily looks like panic and could be self defeating: in that hey, if they’re deciding to throw the strategy into reverse in Ohariu things must be looking really, really bad. Given the timeframe involved, it is also difficult to separate this decision in Ohariu from the departure earlier this week of the Greens political director Joss Debreceny and the change in duties of its chief of staff Deborah Morris-Travers. At this point, centre-left voters face a genuine dilemma. Do they vote for Labour to strengthen Jacinda Ardern’s arm as the country’s next Prime Minister, or do they vote for the Greens, to ensure they survive in Parliament? There is no easy answer. The Ardern phenomenon has also been causing a tactical rethink at the other end of the spectrum. Tax cuts are suddenly off the table for National, for the time being. Even though yesterday’s book-opening exercise revealed an extra $2 billion beyond the Budget forecasts in May, National has – astonishingly – decided not to announce the tax cuts that were widely expected to be the prime feature of its campaign launch on Sunday. Tax cuts have now been shelved until 2020 and Act’s David Seymour for one, is f***ing annoyed. The tactical aim of deferring the tax cuts? Well, in 2014, the government managed to make the campaign debate all about the opposition’s policies and shortcomings, and not its own. It’s trying to do the same this year, too. In the face of Ardern’s evident appeal to voters, the fewer controversial policies that National puts up – such as tax cuts in the face of hardship and declining public services – the easier it is to make Labour’s policies the prime focus of the campaign. In fact, National’s austerity policies and tax gathering have created a mountainous surplus that it has been shoveling out all year to its own electoral advantage. This makes it a bit rich for National to try and paint Labour as being the ‘tax and spend’ party. (I guess it takes one to know one.) More to the point, it is now much harder for National to generate fear of the alternative, when that option is being led by Ardern. Thus far, the public seems to really, really like the alternative. Ardern or Steven Joyce? Right, that’s not a hard decision. This government’s Achilles heel has been its complacency, and the sense that it has been governing by tinkerings and photo opportunities while the country’s blatant social problems have gone unaddressed. In that respect, the taxation moves that Labour has intimated – on capital gains to address housing speculation and on irrigated water to place a price restraint on the pollution of our rivers and lakes – are both entirely defensible, as targeted responses to government inaction. At this point of the campaign, the government has put all of its eggs in the one basket: namely, its management of the economy. That’s a risky tactic. Do many voters really think their jobs are more secure and their family budgets are in better shape than they were nine years ago – and that this is as good as New Zealand can possibly get? Not many, surely. Not enough for National to be sure of survival. Like the Greens, the government is starting to look like it could be an endangered species. Finally here again is “The System Only Dreams…” It has to be said, but none of these cuts appear to have the same heft and consistency as say, the High Violet album that increasingly sounds like this band’s peak moment.